I needed some time to recover after a 4-day / 5 nights festival. Looking back at the photos and videos I took I start feeling flashes of lights, music and good vibes and this sudden urge to go back for more. But I can’t – I have to wait for next year’s Electric Castle. This is the post-EC feeling – and it was an amazing experience! What started out as a small, alternative and sort of hipsters-ish 4-day party around the ruins of Banffy Castle on the outskirts of Cluj-Napoca, Romania, turned into the largest medium-sized festival in Eastern Europe. 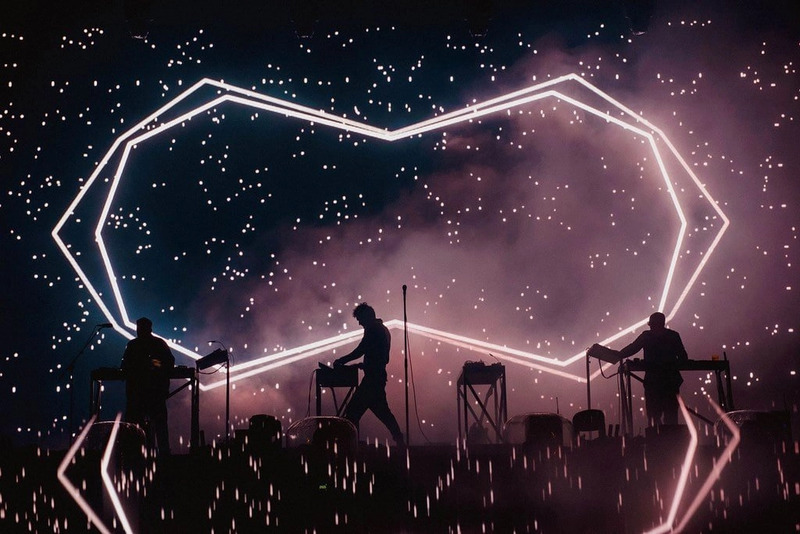 Electric Castle is now a full-blown electronic music, arts & performances event combining technology, visual effects & nature recreation to create a unique summer festival experience for its participants. The festival also a camping area, a generous food court and plenty of things to keep everyone busy. This year’s edition was the largest yet: approx. 170.000 people attended the 4-day event (including opening on Day 0), entertained by 100+ artists on 8 stages. There were also several areas showcasing local fashion designers, various tech toys such as VR games and simulators and even a huge Ferris wheel! One thing everyone was extra happy about was the good weather: all previous editions were marked by heavy rain, but that didn’t stop festival goers from having fun and making the festival a growing success. But now with the sun up, people could enjoy the lush domain of Banffy Castle to the fullest, chilling on bean bags or hammocks or walking through rich lights installations at night. The main stage saw performances from headliners Moderat, Alt-J, Franz Ferdinand, Duke Dumont, Deadmau5, Trentemøller or UNKLE while other stages catered to specific crowds and sounds: from punk rock and alternative, to progressive or funky electronic music, minimal, techno, reggae, dubstep, drum & bass – and many other styles hard to define. Starting from noon to early morning there was always music playing somewhere, you just needed enough energy to keep on going. So let me tell you how my 2017 Electric Castle experience was like – as far as I remember and the bits I can talk about. The moment I stepped in the festival area at 18:00 I could see the anticipation and excitement on people’s faces. Rain or shine, everyone was determined to have fun. Roaming crowds were quickly moving from one area to another to get familiar with the festival set up while veterans were already having a drink. When I saw the main stage I was immediately impressed with its set up, boasting massive LED screens left and right of the stage giving a sort of semi-circle wide-angle opening for everyone to see. The first performance I want to tell you about is Golan – a Romanian band producing its own music combining electronic sounds with classical instruments and great vocals. Although they’ve been around for 3 years, they’re incredibly talented and underrated IMHO – check out their live performance from EC. And they did a fantastic warm up job for Moderat, who were playing next. The headliner of Day 1 @ EC was simply AMAZING: so much energy, great visual effects making full use of the wide opening of the LED screens and all the classics of the Berlin-based band such as Rusty Nails, Therapy or Bad Kingdom. It was a great show and I danced non-stop for 1h30 and so did others around me. And I honestly think that the band (their 1st time in Romania) was impressed by the warm welcome they received and how so many people knew their playlist. After a well deserved burger & beer to recharge my batteries, I headed deep into the festival grounds looking for a midnight party stage. After doing a couple of rounds, my first stop was at Booha Mansion which was booming with funky music and vocals from English-based Crazy P Soundsystem. Then, the Dance Garden – a stage set up in the castle’s inner courtyard with video mapping projections on the surrounding ruins. Francesca Lombardo was playing a hypnotic progressive vibe and coupled with the significant number of drinks I had – it was a great atmosphere. After 6 hours of sleep, a quick breakfast and coffee, I was back inside the festival looking for fun – but first, some daylight exploring. Inside the castle ruins where there were all sorts of lights installations highlighting the castle’s history and restoration works (funded by revenue from the festival). There was also this cool thing where you had to walk on a wooden plank wearing VR goggles which turned it into walking on a skyscraper ledge! It was really scary and makes you wonder what VR will do in the future. Outside the castle, the J&B Pitch stage was booming with some deep house so I had a quick 30 min dance session to get myself into party mode. When I finally made my way towards the main stage, Unkle was getting ready to start. James Lavelle showed up with his fourth incarnation band featuring two vocalists, bass guitar, keyboard and drums and performed in great style. New tracks were played alongside classics such as Fear, In A State or Heaven ( a tribute to Gavin Clark) thrilling the crowds with mesmerizing visuals and a great live performance. At the end, James Lavelle took a selfie with the people of EC saying that Romania has always been a ‘f*cking amazing crowd’ at his shows! Having been to many concerts both in Romania and in other countries I can honestly say that crowds here have always been loved by artists – as long as the latter didn’t confuse Bucharest with Budapest! After grabbing some pancakes and a Cuba Libre to refill my energy levels, my next stop was the Hangar Stage – the second largest stage of the festival which could fit a medium sized airplane. The familiar vibes of Ministry of Sound tunes made everyone feel like it was a party on a beach, but in a hangar! Another round of 1h non-stop dancing. Coming out of the hangar I stopped by Booha Mansion packed with crowds dancing on Cedric Gervais’s techno-like beats and the smaller Roots stage, a tent for reggae and drum & bass fans. Finally, I headed over to the Dance Garden curious to see if I would find the same atmosphere as the previous night. And to my surprise – I did: though I had never heard of Sonja Moonear she was playing fantastic music and the video mapping was different and trippy (again)! After a couple of Tatratea 72% shots I was completely absorbed into the vibe until I felt like my legs were going to kill me around 4 am – time to go home. I was determined to have a more chilled out Day 3 so when I got back in the festival I headed over to the Hideout Stage which was basically a tent hidden inside a small forest. Luckily, I wasn’t distracted by all the bean bags, hammocks or other lounge areas on my way there. Just as I was getting in the mood for dancing along with my friend, Aperol Spritz, Captain Morgan & his crew showed up. Right after this booming performance came in Alt-J. Though they started off slow and seemed like they were going to pick up the pace, having them play right after Subcarpati maybe wasn’t the best choice. The crowds were in a dancing, full of energy head bobbing mood and Alt-J’s mellow, indie-rock ballads didn’t match the same vibe – or at least that’s how I felt. In any case, they put on a great show which their fans seemed to love. With no other plans, I decided to just roam around the festival and see where the flow takes me. I was lucky to see the Lords of Lightning up close who had prepared an electrifying, impressive show for their audience. Next, I contemplated the future of drinking while watching 2 robotic arms prepare cocktails for curious onlookers – though I’ve seen bartenders move faster than that, so we’re still safe! Then someone came up with the idea to check out the Silent Disco stage. I really like silent disco and completely forgot about it so I was pretty excited to go and see it. We got in and were surprised to see that there were 3 DJs playing on 3 different channels: minimal & deep house, club & funky music, drum & bass, dub step and pop-rock. We were completely hooked and danced like crazy for I don’t know how long until we became a bunch of tired zombies that had to move their asses towards the bus queue at 4:30 am. So much for my plan to have a chilled 3rd day @ EC. On the last day, I was pretty tired, like everyone else – and that’s a sign that it was a good festival. There were lots of people scattered on the grass taking a nap or lying on all sorts of things looking like they’ve seen better days at Electric Castle. I went to see Trentemøller on the main stage and they did not disappoint. But Franz Ferdinand’s British pop rock and Deadmau5 progressive style were not my types, despite their ‘headliner’ status. I decided to spend some time at the J&B Pitch where the low BPM deep house music was perfect for people with low energy levels. So it was crowded, but great fun. By 3 am I could easily have made it into the cast of /The Living Dead/ so I decided to end my 2017 Electric Castle experience with this. After going at 3 out of 5 editions, I can honestly say that Electric Castle is more about the festival experience and feeling rather than major artists’ performances. Everyone is looking to have a good time and the organizers tried their best to cater to as many crowds as possible – and I think they did a fantastic job. I had so much fun I needed an entire day to recover. the official Electric Castle website is very useful and there’s also an EC app where you can schedule your artists and receive notifications on things going on during the festival – it’s a must have! 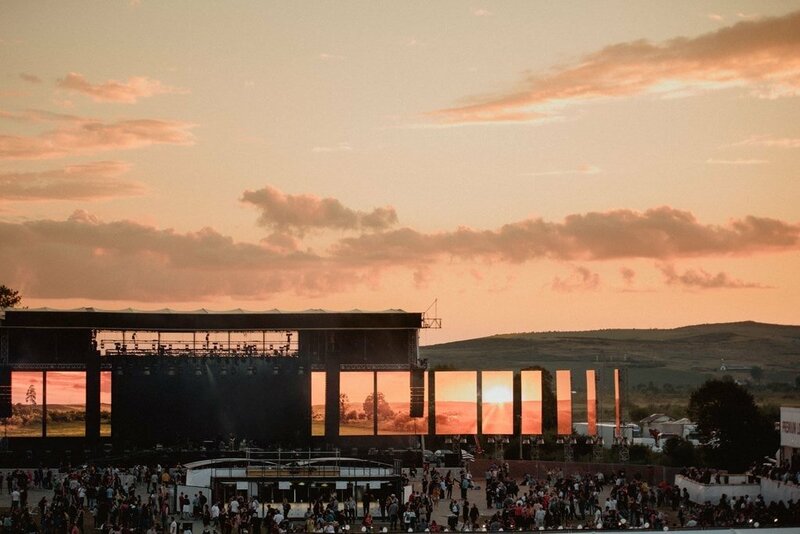 for more on getting there, budget, safety and other tips check out the Romanian Friend Electric Castle guide for first-time goers. Photos by EC staff, the author, and his friends. Thanks for the media pass, Electric Castle! Marius is the founder of Romanian Friend, a website that promotes responsible travel in Romania with handpicked guides, trips and experiences and where you can find local tips and insights to plan your trip, just like having a trusted friend from Romania.